There are many types of fiber optic transceivers used in fiber optic transmission. Though they have the similar principle and easy to use, we will inevitably encounter some problems when using them. Here are some common questions we might have when using fiber optic transceiver. And from the answers, we might have a deeper understanding of using these fiber optics. 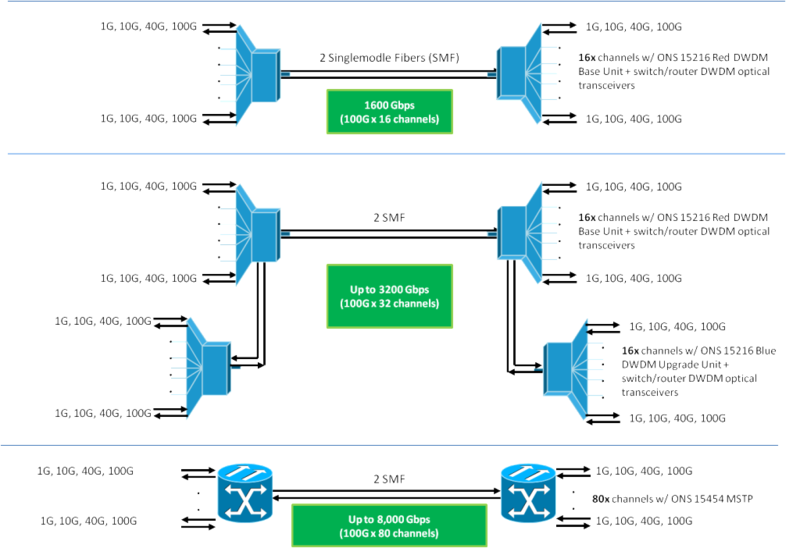 Q1: Can I use different fiber optic transceiver package styles (SFP, GBIX, X2, XENPAK, etc.) on the ends of a single fiber link? A1: Yes. 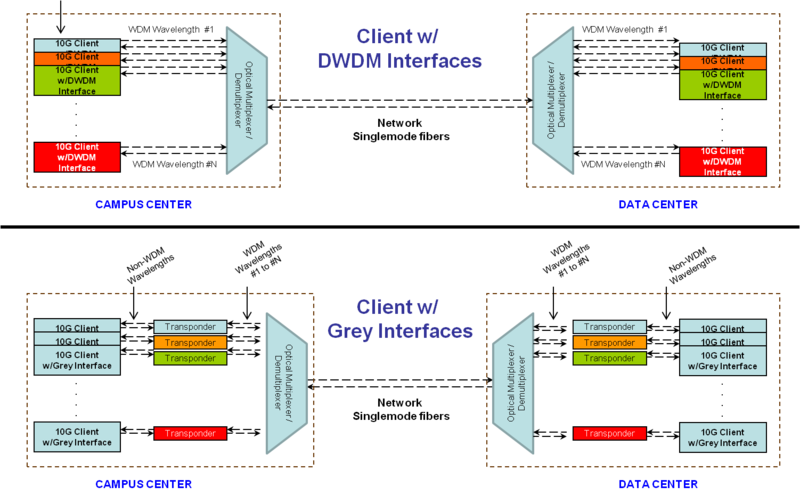 The various transceiver packaging styles (SFP, GBIX, X2, XENPAK, etc.) are mainly the result of improvements in technology manufacturing; allowing smaller packages for the same performance. The key to simplifying your network is to select transceivers that have the same performance (wavelength, reach [SX, LX, ZX, etc.]) at each end of the link. 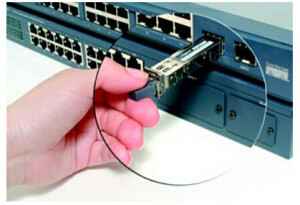 fiber optic transceiver at each end of the link or within the link? A2: Yes. The connector type is generally a function of the density of the fiber optic transceiver. 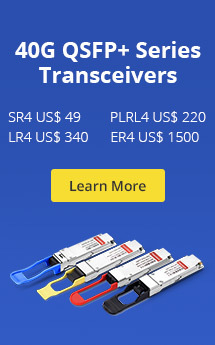 A Mini GBIC transceiver is larger than an SFP transceiver; the GBIC uses the larger “SC” style of optical connecter while the SFP/SFP+ transceiver uses the smaller “LC” style of optical connector. Many times the interconnecting optical jumper cables will need to have different connector styles at each end; and example is having a SFP (LC connector) installed in a router connected to a SC port on a patch panel. A3: When selecting an fiber optic transceiver, watch the transceiver module’s user documentation for when a MCP should be used (see previous link for MCP information). They are sometimes required when your network’s installed optical cable is OM1 or OM2 rated multimode fiber (MMF). In short, the MCP is an optical jumper that transitions the transmit fiber from a single mode fiber (SMF) to a multimode fiber. Q4: Will I need to install optical attenuators to decrease the received power level of the fiber optic transceiver? A4: If you are selecting an optical transceiver that closely matches your network fiber‘s link length, then In most cases, you will not need to add an optical attenuator. In most cases, the link needs an optical attenuator at the receiver ends of the link because the fiber optic transceiver selected is designed for fiber links that are longer than the user’s current link. This happens most often when prototyping a network; where the equipment may be connected “back-to-back” with a short jumper cable. Then, read the transceiver module’s data sheet for information on operation with short jumpers. Or, compare the optical transceiver’s “Transmitter optical output power (maximum)” with the “Receive power (maximum). It the transmitter output is greater than the receiver’s maximum input power specification, then an attenuator may be necessary. fiber optic transceiver, how can I transport the signal over a WDM network? A5: If the equipment that does not support WDM optical interfaces, a transponder module (media converter) can be used to convert the grey fiber optic transceiver wavelength (850nm/1300nm/1310nm/1550nm) to a 14xx nm to 15xx nm wavelength. Transponders are also typically a component in WDM systems. 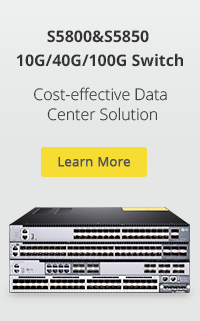 A6: Single mode fiber has an extremely large bandwidth capacity. 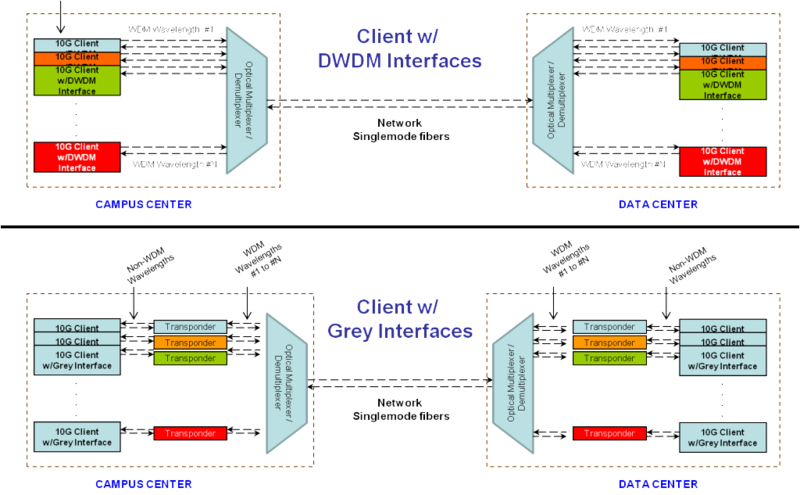 The following diagram shows how bandwidth can be scaled on SMF. Scaling bandwidth on fiber is not inexpensive. 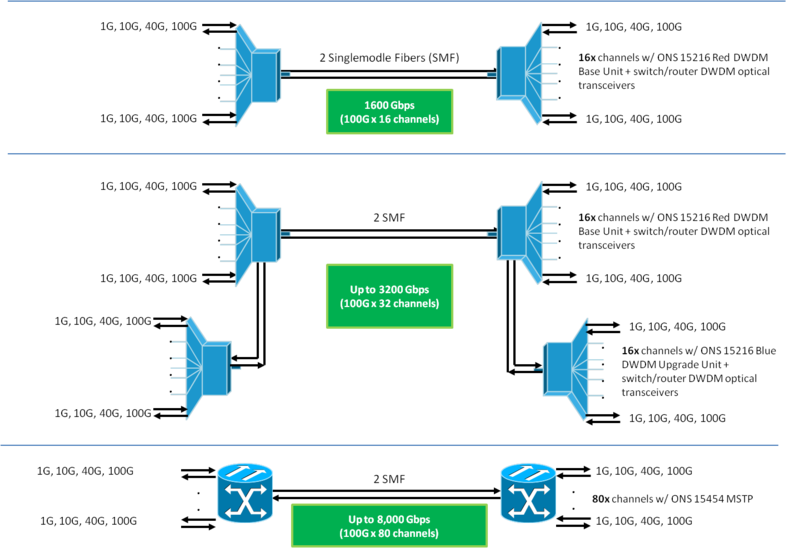 Depending upon the network, it may be more cost effective to install additional fibers instead of adding WDM technology. Related Article：What Is An Optical Module? This entry was posted in Fiber Optic Transceivers and tagged Fiber optic transceiver, Mode conditioning patch cable, optical attenuator, single-mode fiber. Bookmark the permalink.